Waiting for the next snow storm won’t make the Spring come any quicker, I get the feeling people can sense the season coming anyway. Don’t be so hard on yourself you earned it. 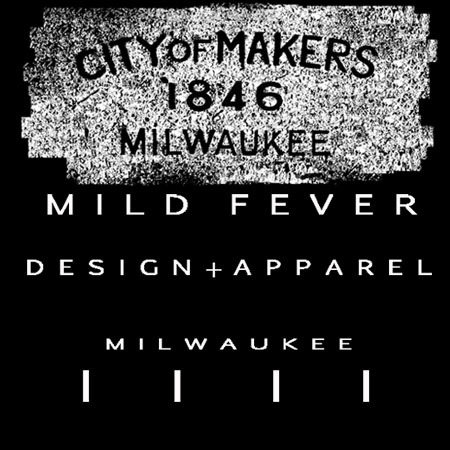 By the end of the week, you’ll be ready for a few entertainment options provided by a few of Milwaukee’s brightest unsung talent. Okay, maybe this “talent” is a little further away from the mainstream Galaxy than most, but the Easter bunny cometh, so some options other than the Bar should spark some interest. Live original composition jazz meets experimental performance theater at the Marian Center for Non-Profits for one night only on Friday March 2. Milwaukee Area Composers & Artists (MACA) jazz collective, led by Milwaukee grown Jazz composers and saxophonists Steve Gallam and Blake Manning, will perform in tribute to their first CD Release of Live Jazz performances. Solo, duet and quartet sets will create melody, as Mike Neumeyer navigates the marimba, Steve Gallam on Bass Guitar duals with Nathan Dill on violin, and Blake Manning corners a quartet of sax, drums, violin, and bass. MACA’s musicians all benefit from formal training but maintain their artistic warrant, clearly paying homage to their golden age of Jazz heroes in their works. This show should be a real treat for jazz enthusiasts who may be concerned about the future of the music, the MACA residents are all barely approaching 30 years of age. Quasi Mondo Productions artistically directed by Brian Rott (formerly of Loose Canon Productions) pours a night cap/second-wind starter with its experimental theater trial Stand By that distills movement, props and illusion to tell a story. A subset of short acts from its parent production A Night of Something or Other, Stand By will play with elements designed to leave the audience room to narrate their own sub-text filling the space left by the production’s deliberate omission of spoken dialog. Visually intriguing and at times a bit nonsensical, Stand By aims to satiate the theater scene’s taste for something slightly askew of the typical flavor spectrum. Stand By enlists the talents of artistic consultant Jessi Miller, Lamont Smith and several other budding performers. The Marian Center for Non-Profits Auditorium provides the stage for MACA part IV and will begin at 7:30pm. Proceeds or the $5 cover at the door go to offset the cost of space rental. The Marian Center for Non Profits is located just South of Oklahoma Avenue on South Superior Street in the old St. Mary’s High School across from Bay View Park. The Marian Center for NonProfits is a mission of the Congregation of Sisters of St. Francis Assisi that provides affordable office space for non-profits and rent-able space for events. The Alchemist Theater swings full tilt into its 2012 season with its upcoming opening of 1984 this Thursday. This adaptation of the ubiquitous George Orwell classic, comes at the hands of Michael Gene Sullivan and directed by David Kaye. The cast includes several veteran upstarts including Jeremy Eineichner who currently moonlights a regular stand-up comedy act at EastTown’s Karma Bar with Caste Killers Comedy Comedy Collective and Clayton Hamburg, a cast member of Carte Blache’s great run of Refer Madness last fall. The gist of the story Sullivan tells and Kaye brings to life, fast fowards to Winston Smith’s arrest at the hands of The Party, where from his confinement, the audience will vicariously experience Winston’s struggle through politically motivated torture and programming as told from the perspective of his diary. Christopher Elst, Michael Keiley, Marcee Doherty, and Erin Hartman round out 1984‘s cast. 1984 will seek, capture and alter audience expectations opening on Thursday March 1 and closing Saturday March 17 (show runs Thursday thru Saturday). Tickets are $12 online and $15 at the door. The festivities of the Riverwest Follies continue for the 7th year this Saturday at the Polish Falcon. The Riverwest Follies offers an evening of family friendly entertainment including crafts, music and other antics insured by the MC/Host of the evening Sir Pinkerton of Dead Man’s Carnival. This year the Follies commemorate the 10 year anniversary of the Riverwest Currents, the neighborhood’s community paper. Headlining the Riverwest Follies, Milwaukee’s resident world-music rockers Astral/Subastral orchestrate a live conglomeration of harmonies, rhythms and sounds brought together through generous instrumentation and reaching vocals that encourage soul-seeking movement, or just content head-nodding. Astral/Subastral delivers hints of Purvian, Celtic, and possibly even Flamenco syncopation, behind a solidly folk-rock inspired lead vocalist. Astral/Subastral takes an fresh look on an often overlooked recipe: a crowd pleasing paella of musical influences from around the globe, easily enjoyed by groups of friends and family with an appetite for a potluck of good company and conversation. The Riverwest Follies kick-off at 8:00p Saturday, March 3 at the Polish Falcon on Clarke and Fratney Streets in Riverwest. The $5 donation at the door will benefit the Riverwest Currents. A buzz always hits the entertainment world around this time of year, the Academy of Motion Picture Art and Science rolls out the Red Carpet for the A-listers to shimmer, pop culture mavens to swoon, and buffs to admire from afar. This year a solemn hum vibrates the Milwaukee art news, as the Times Cinema, an independent cinema that made a tradition out of bringing a piece of Oscar magic to the area, prepares to transition into a new phase of its movie house life span. The Times, and its sister cinema the Rosebud, continue their tradition of screening Academy nominated films in the weeks leading up to Oscar night. Tonight, as in years past, you can also watch the Academy Awards on the big screen at the Rosebud Cinema, possibly for the last time ever. The Times will screen the Oscar nominated Animated Short Films at 4:30p today as well. Local Trolley checked them out yesterday and they were surprisingly gripping and thoughtful with short features that deviated from the Pixar-style films, and some that were equally entertaining done in the modern vein. Wild Life in particular stands-out among the nominees, produced by Amanda Forbis and Wendy Tilby. For some reason Canadians have an amazing knack for adult oriented cartoons. The short story is told by a simplistic almost Impressionist form of animated illustration that strings together several accounts from towns people of an well to do Englishman settling in Canada for a chic cowboy adventure, set in contrast to the narration provided through the Englishman’s letters home. The Englishman’s life is subtly mirrored by a parable of the mysterious celestial Comet, and by the end of the short, likewise demystified. The other Animated Short nominees the Times will show in about thirty minutes from now are Dimanche/Sunday, The Fantastic Flying Books of Mr. Morris Lessmore, La Luna, and A Morning Stroll. The Times Cinema is located on 59th and Vliet, and the Rosebud Theatre is located on 68th and North Avenue.